I am an experienced therapist with a highly professional, confidential, open, honest and non-judgemental style of therapy. I have had a 100% success rate in the treatment of depression and anxiety related disorders. I implore a warm and welcoming environment in which to explore the problems you are facing. I have a strong emphasis on clients feeling comfortable in session. My areas of expertise are social anxiety and depression. 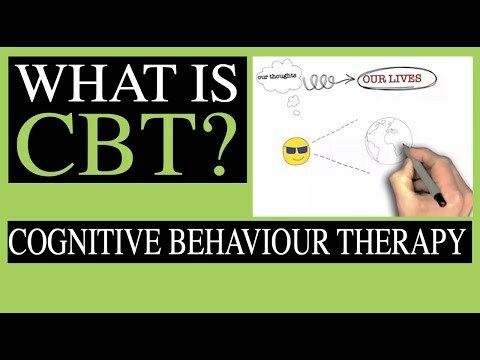 Postgraduate Diploma in Cognitive Behavioral Therapy. Registered Member of the British Association of Behavioural and Cognitive Psychotherapists. "Great person, great environment. Jessica really takes pride in helping people and using her job to help people. Highly recommend!" "Professional, approachable and highly skilled!" "It is bloody nerve wracking going into therapy. You feel like something is wrong with you or you're going to be judged. Jessica provides a lovely environment which I actually enjoyed (and looked forward to) going into each week. She worked with my limited budget to allow me to address my phobias and I am a happier person for it!" "Jessica has gone above and beyond to help me. She really makes you feel at home, not embarrassed or judged. I could barely lift my head off the pillow, as I was so depressed. Jessica has taught me skills to address these depressive symptoms and I am finally living a fully functional life. Thank you!" "Visiting Jessica Leigh CBT was the best decision I ever made. Although a hard decision to actually make the phone call, Jessica is incredibly easy to talk to and you feel like you've known her a long time. I was struggling with horrific anxiety to the point where I couldn't leave my house, but that has been rectified and now I am, once again, a happy adult who partakes in everything without dread or anxiety. Thank you, Jessica!" "it took a lot of courage to admit I had a problem. I was suffering from panic attacks for over two years, to the point where I had accepted them as normality. I found it difficult to leave the house, go to work, spend time with my family and give my partner the experiences I had promised her"
"As a man, I know it can be difficult to admit weakness. But by contacting Jessica and explaining my problems I realise I had shown a lot of courage. She put in place a plan based around my needs and was a constant, reassuring contact through my battle with anxiety. I would highly recommend to anyone suffering with anxiety, in any form, to contact Jessica and take the first steps to healing and growing. I'm now capable of much more than I had accepted just a few months ago. I have my life back, and this is due to admitting I had a weakness and speaking to a caring professional about it. My family, friends and I thank Jessica from the bottom of our hearts"